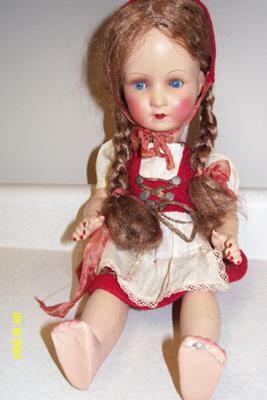 Ok... my great grandma (who died about 15 years ago at age 103) gave me this doll. I am certain it is very old... it was old when I got it when I was a kid...and I am now 46. I have been looking all over the internet to find one like her... and haven't found the exact one yet. I have NO idea what it's worth, as I am not a doll collector...so if anyone can look at the picture and let me know what they think... I would be very appreciative! She has "Germany 1" stamped on the back of her head, and a small #8 on the left side of her back. Original clothing as far as I know. Thanks!